Staying hydrated when you’re cycling is important, so we’ve put together a list to help you choose the best cycling water bottles on the market in 2019. There are a number of considerations you may want to bear in mind when choosing the right cycling bottle for your needs, and this list is designed to help you narrow the options down to find the ideal bottle for your cycling habits. Many of these bottles are insulated, keeping your cold drinks cold on hot days and your warmer drinks warm on colder days, helping you to keep your core temperature exactly where you want it. The market for cycling water bottles in 2019 is a wide one, with hundreds of different bottles available to fit any needs imaginable. The models discussed below are the best of these, and all of them are high-quality bike accessories. The CamelBak Podium 24oz Water Bottle is a large model, allowing you to easily carry enough water for a long journey or an extended workout. It offers a secure locking top, preventing leakage even during vigorous shaking, all labeled with clear, easy to read graphics for an instant understanding of whether or not the bottle is locked. Under this top, the CamelBak proprietary jet valve design allows you to easily hydrate without having to waste time fiddling with an opening mechanism. This ease of use is compounded by the flexible body of the water bottle, designed to allow you to easily squeeze water into your mouth at a moment’s notice. Why We Liked It – The CamelBak Podium 24oz water bottle may not be insulated, but the number of useful features present in the lid more than makes up for that shortfall. 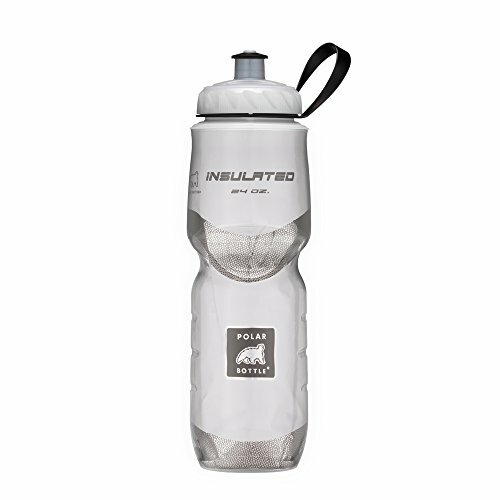 The Polar Bottle Insulated 24oz water bottle offers strong insulation, protecting the water inside from outside temperatures with a double walled construction. An insulating layer in between the walls of the bottle ensures that cold liquids stay cold, even in hot sun. It is also designed with an extra-wide mouth, allowing easy filling and space for ice cubes in the hottest weather. The bite valve is made from soft rubber for added comfort, while its self-sealing design means that it will not leak even when left in the open position. Why We Liked It – Polar Bottle’s focus on environmentally conscious practices is commendable, and their products are high-quality and well designed, making the Polar Bottle 24oz Insulated Water Bottle an easy recommendation. 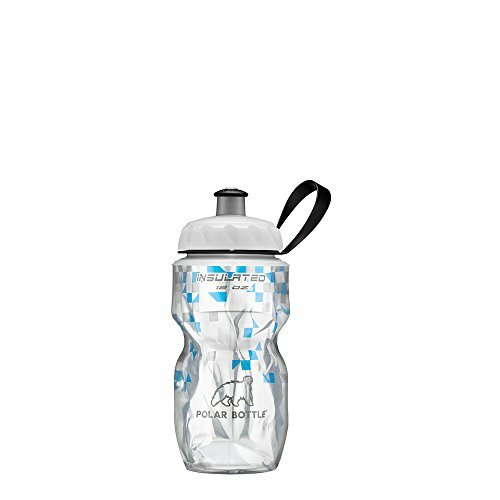 The Polar Bottle Insulated Water Bottle – 12oz offers the same features and advantages as the 24oz model discussed above, but in a smaller package. While this means that it does not hold as much water as its larger cousin, the compact nature of the 12oz bottle makes it lightweight and ideal for shorter journeys or activities where less water is needed. Why We Liked It – Polar Bottle offer reliably high-quality products, manufactured using environmentally conscious methods. Most of their products are easy to recommend, and the compact 12oz insulated water bottle is no exception. 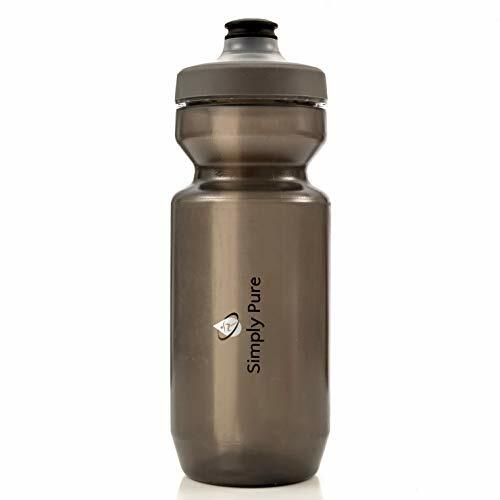 The Simply Pure Purist Water Bottle stands out from the crowd due to its silicone lining. This coating on the inside of the bottle prevents the flavors of the plastic from leaching into the water, giving a drinking experience more like that of drinking from a glass, while also providing a surface that is exceptionally easy to clean. The range of different caps available from Simply Pure is also a notable extra feature, giving greater control over drinking from the bottle and allowing you to customize your experience to fit your specific preferences in drinking. Why We Liked It – The customizability offered by Simply Pure in their selection of optional caps is a great touch, adding a level of control beyond that of most brands. 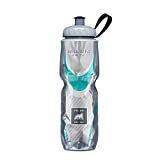 The CamelBak Podium Big Chill 25oz Insulated Water Bottle is larger than any of the other models on this list, carrying more water than any alternative option. In addition to this, it offers a double-walled construction for strong insulation, keeping your water cold even in hot weather with a layer of insulation between the two walls. CamelBak’s proprietary jet valve cap ensures that the bottle does not leak even during vigorous shaking, while still being easy to use for drinking at a moment’s notice. Why We Liked It – The combination of the effective insulation of double walled construction with CamelBak’s effectively sealing cap makes the Podium Big Chill an impressive water bottle even before the extra large capacity is taken into consideration. Consider what your primary use for a water bottle is likely to be. Do you just need something to take to the gym, or are you looking for something to hydrate you while cycling in hot weather? If it’s the second option, you might want to prioritize insulation as a feature when buying a cycling bottle. Some models offer a design with two walls and a layer of insulation sandwiched between them. These will effectively keep your water cold even in the sun, but will be a little heavier and bulkier than the lower-end uninsulated models. There is a range of different cap designs available, some prioritizing easy drinking and some prioritizing secure leak prevention. CamelBak’s jet valve technology is an effective balance between the two if you aren’t sure which option you care about, although many good alternatives are also available. Some models of sports bottle offer a coating of silicone or other substances on the inside of the body, preventing the flavor of the plastic from leaching into the water. This leaching isn’t a significant issue, but it can make your water taste a little odd after prolonged use of the same bottle. Silicone-coated interiors, however, eliminate this problem completely, keeping your water tasting fresh throughout your bike ride. The 5 water bottles discussed above are some of the best cycling water bottles on the market in 2019. All of them offer a number of great features, and your decision on which to purchase should be driven by your specific needs. Consider exactly what you want from a cycling water bottle, and buy with confidence in the knowledge that any of the options listed here will be a good choice.